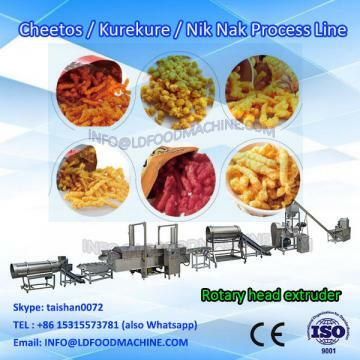 Baked cheetos food processing machine:Cheetos have been a popular American snack food since the 1950s. 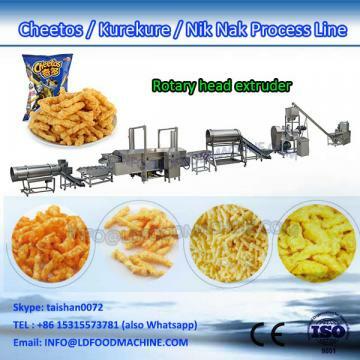 These crispy cheese snacks are formed fromcornmeal, water, oil, and flavored coatings. 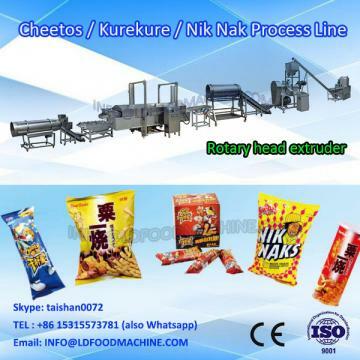 Cheetos is an extrudedsnack, meaning they are cooked, pressurized, and pushed out of a die that forms the particular snack shape. They are thenbaked (or fried, depending on the product) and flavored with oil and seasonings. Today, we eat extruded corn snacks that are ball-shaped,curly, straight, orirregularlyshaped depending on the shape of the die. Flavorings added afterbakingor frying varies greatly and different brands have distinctive flavors. These snacks are extremely popular snacks with children.